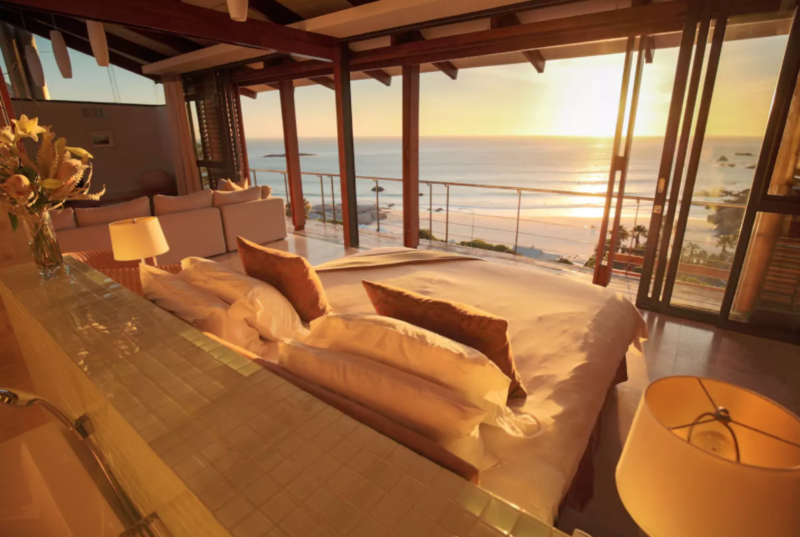 I would never consider staying in a hotel in Capetown. The core of this region is anchored in its outdoor lifestyle, coast, and excellent wine. All of those things are enjoyed to the fullest in a home. 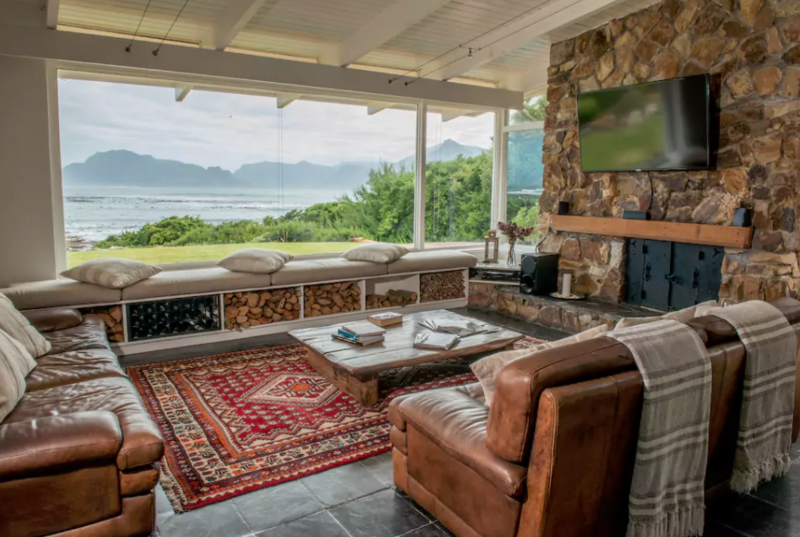 If you are planning a trip to South Africa and have a few days in the city, here’s a selection of some of the best Airbnb options. Most of these have baller status but are reasonably affordable. 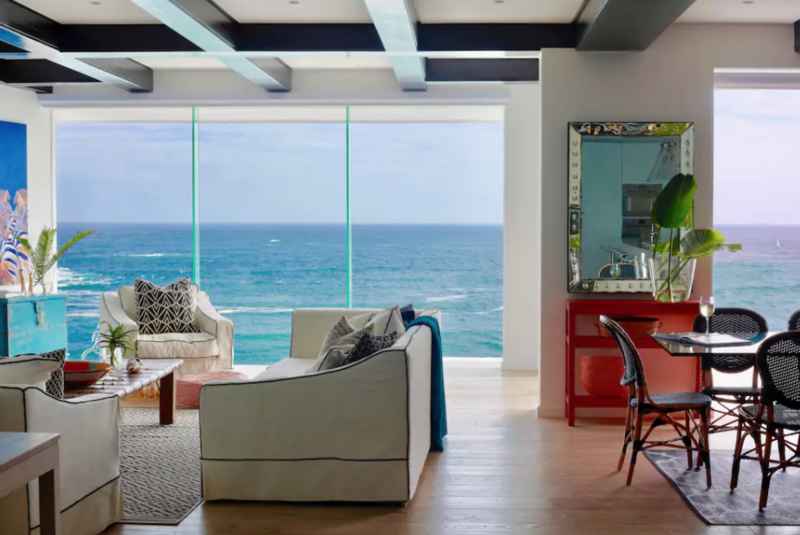 If you’re packing a surfboard, or just want to enjoy a cold glass of rose with ocean views, here are your accommodation options. 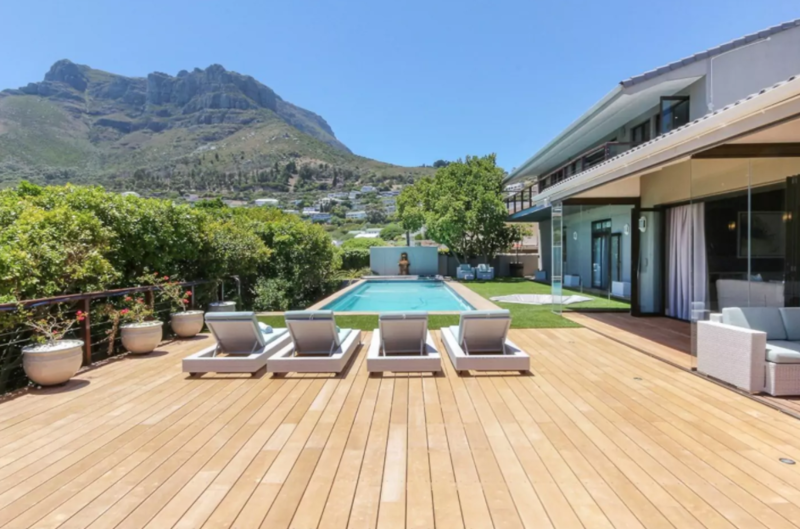 5 bedroom villa, located in the neighborhood of Llandudno. 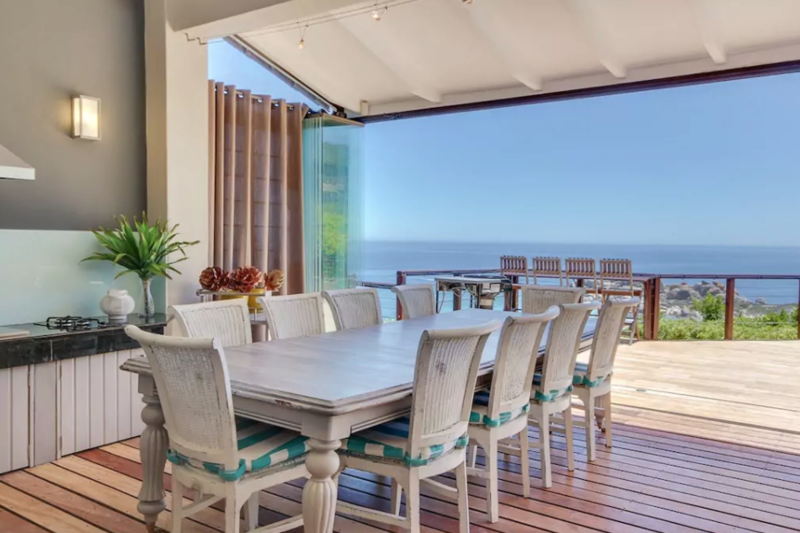 The property overlooks the ocean and has gorgeous views down the coast. Great rental for a family or a group, which makes this option fully affordable. 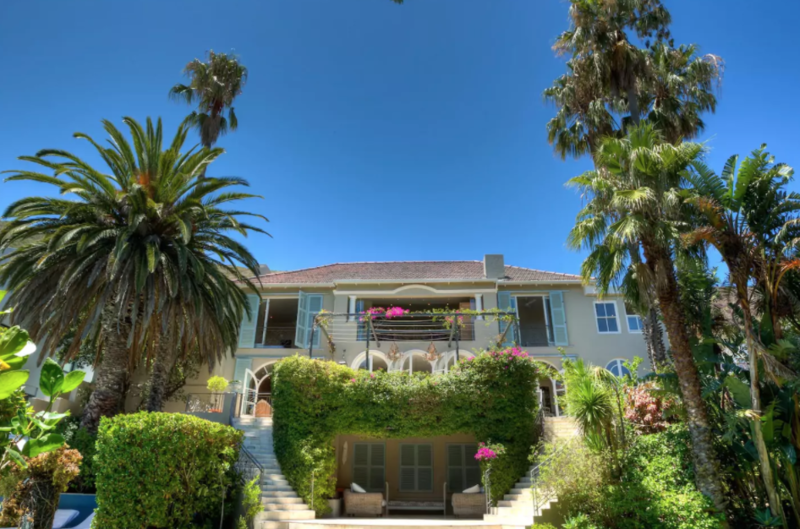 This villa is close to Clifton and Camps Bay beaches, the waterfront shopping center, sea point, and Table Mountain. The villa also has a solar heated pool, and a huge garden, which is said to attract many local birds. 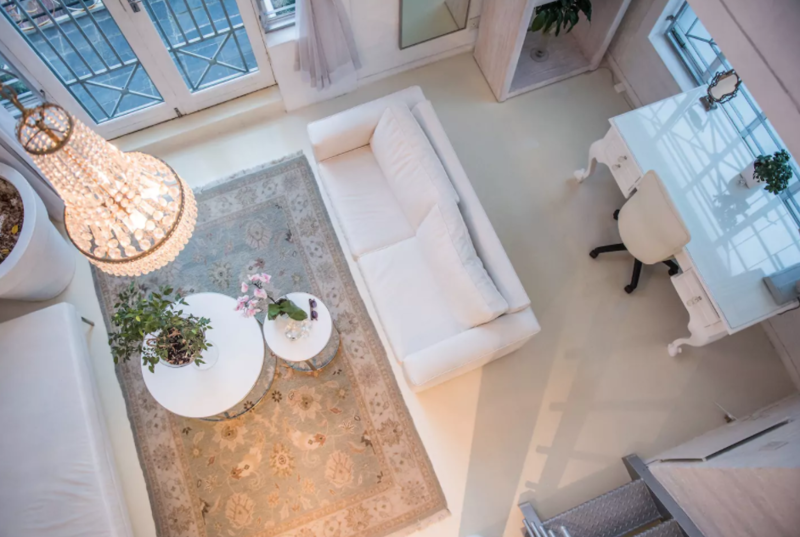 This newly renovated loft is located centrally. 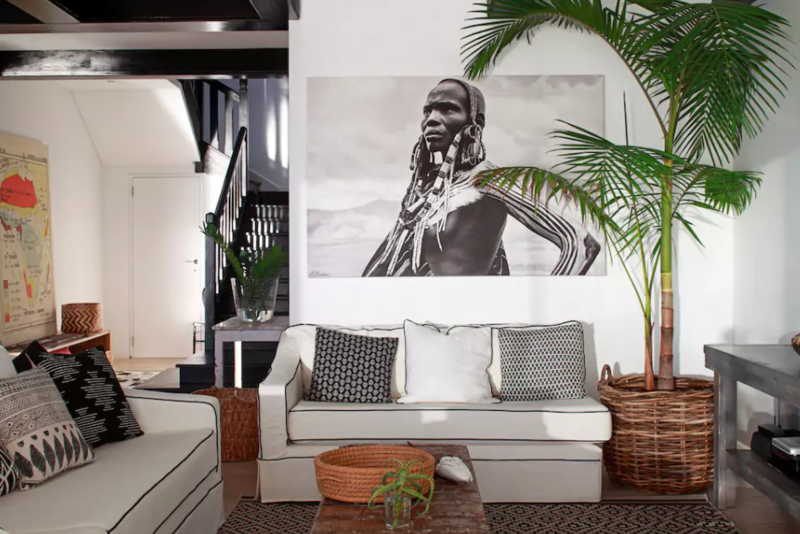 It’s in walking distance to V&A Waterfront and De Waterkant. It has all the gadgets and modern features you’d need, 24-hour security and a salt water swimming pool. 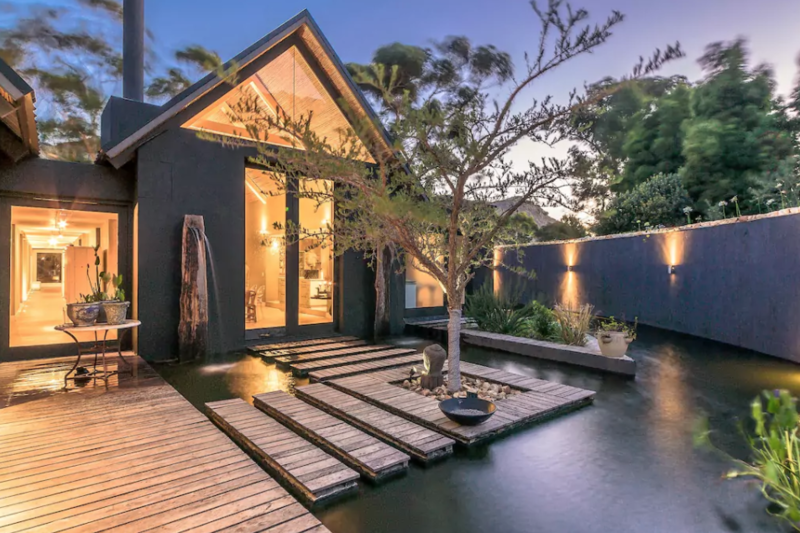 This property is located opposite Glen Beach, an easy two-minute stroll away from Camps Bay. 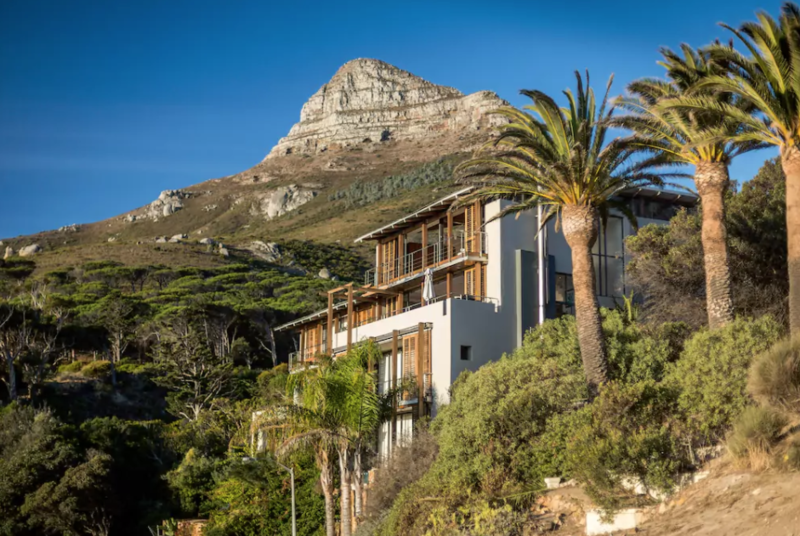 It sleeps 6 and has 360-degree views, including sea and mountain views. 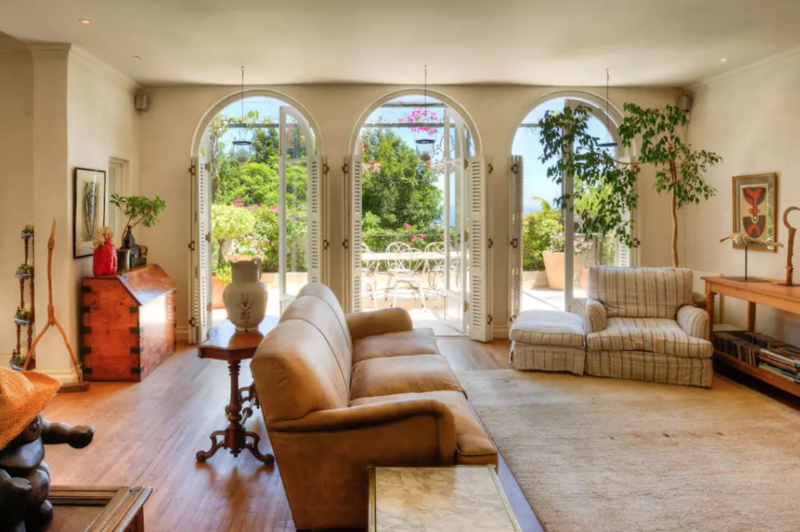 This secluded villa, named Maison Noir, is among the mountain ranges and minutes from the coast. 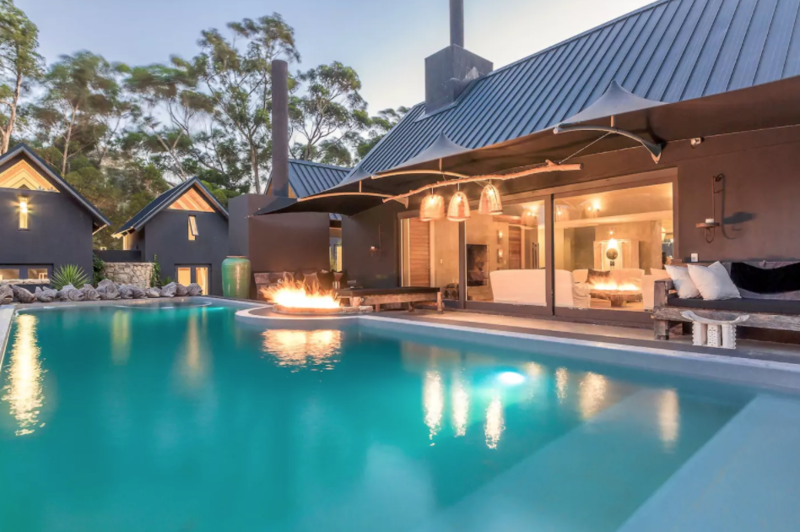 The listing highlights a fully stocked wine cellar, entertainment areas, and private cinema. Perfect place for a retreat or group event. 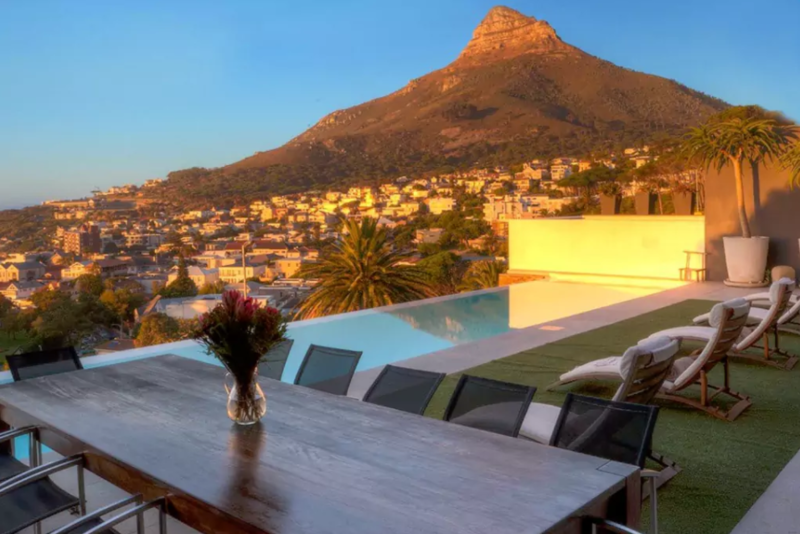 This 4 double-bedroom house has views of Clifton 3rd & 4th beaches, Lion’s Head and Table Mountain. The rental price also includes a full-time maid and chef on request. 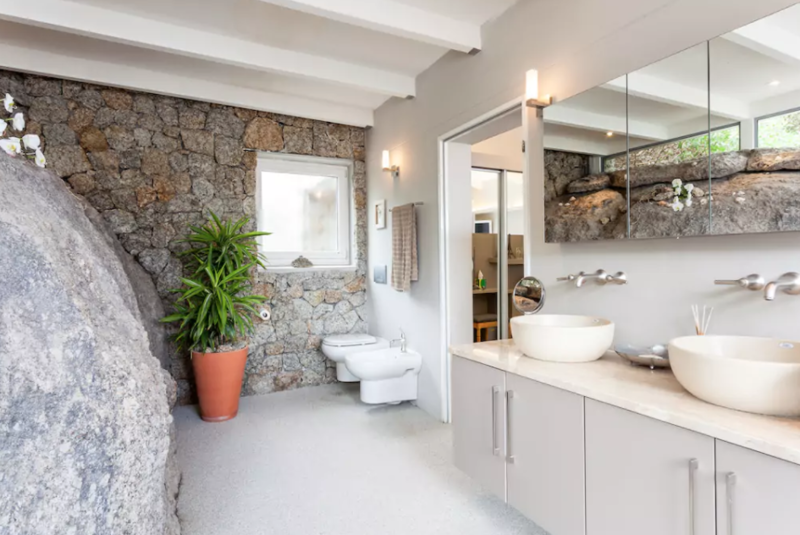 The beach bungalow listed here has a granite seawall on two sides and uninterrupted views down the coast. 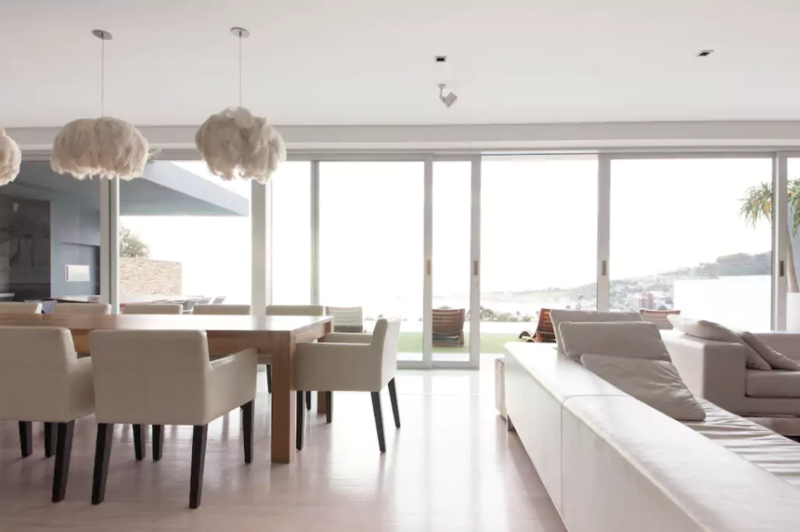 With floor to ceiling windows, the property has been designed to highlight the outdoor environment and the stunning landscape. Panoramic views over the 17-meter infinity pool sounds like an ideal way to enjoy the scenery of Capetown’s coast. 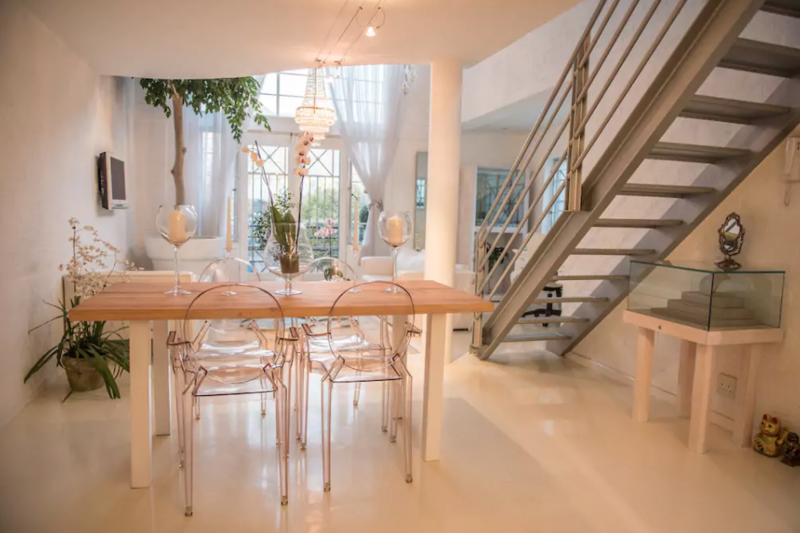 This rental has a 3-minute walk to the beach, restaurants and the promenade. There are also 6 en-suite sea-facing bedrooms, Jacuzzi, BBQ, Pizza oven and full-time housekeeping. 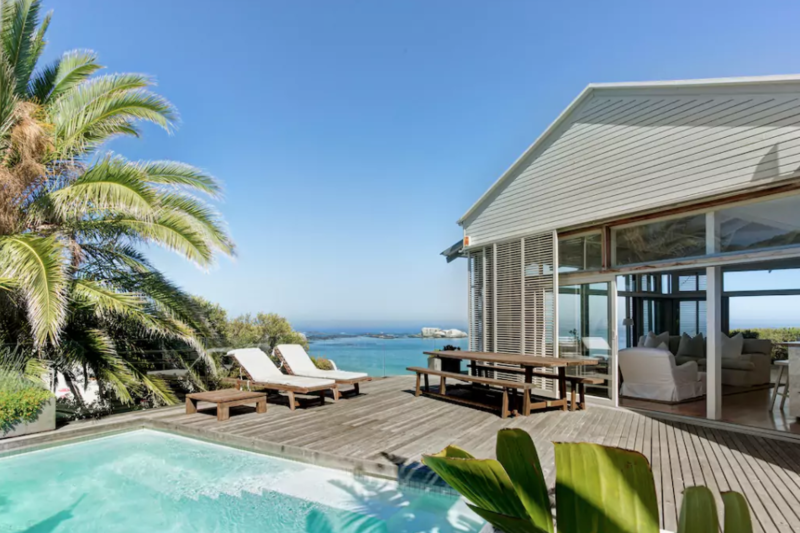 This villa sleeps 8 and has direct beach access. 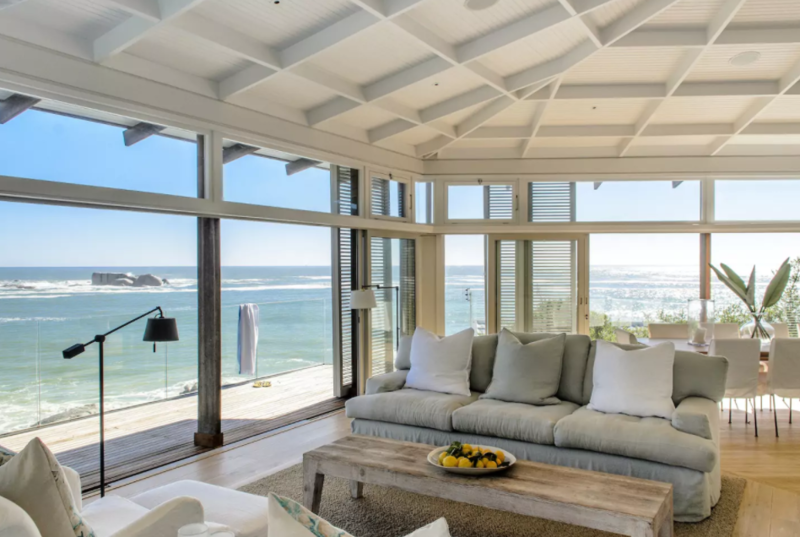 It is situated in the fishing village of Kommetjie, a 45-minute drive from the city center. A great place to rent if you’re looking for surf or have an interest in outdoor sports. 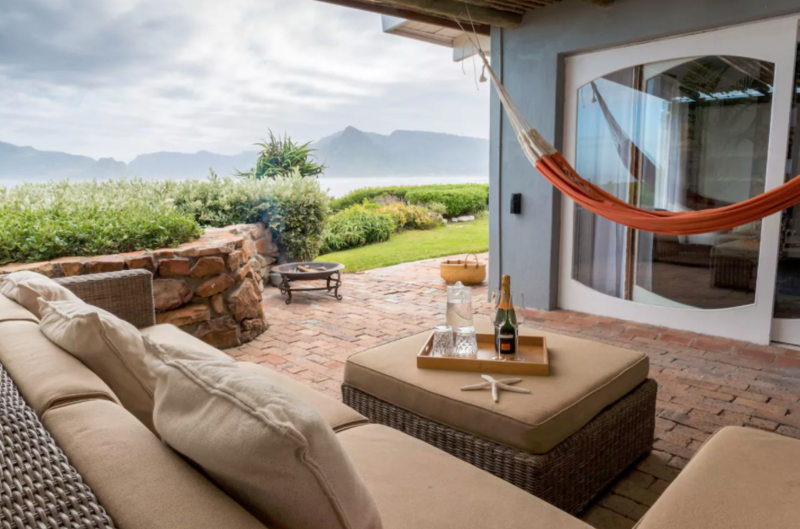 Located on the coastal stretch of Victoria Road Ezulwini, the owners of this property highlight the villas’ exclusivity and isolation from crowds. 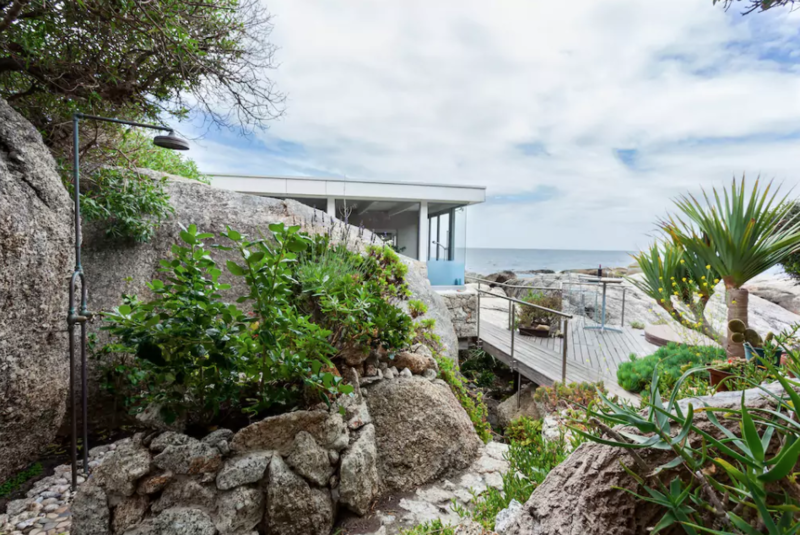 Clifton 2nd beach is a quick descent down168 steps that lead from the property to the beach front.